Today’s enterprise network has a vast number of network and security devices – all generating their own incidents, but they don’t always share information. According to the ESG research report on Security Operations Challenges, Priorities and Strategies in 2017, keeping up with the volume of security alerts and lack of integration between different security tools are the biggest challenges related to security. Organizations are investing heavily in automation/orchestration of incident response to improve collaboration, prioritize alerts and shorten time for incident response. 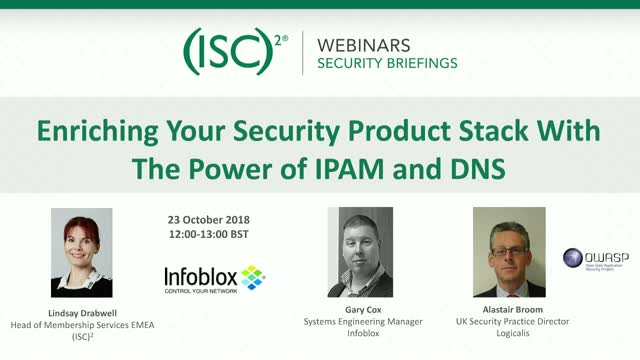 Please join Infoblox and Logicalis for this key discussion on the integrated ecosystem -- taking your organization to the next level of security.